Having a child starting Primary 1 is an exciting time for a family. 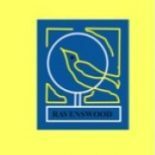 At Ravenswood Primary we have a robust transition programme designed to support both child and parents to enjoy this experience together. Following enrolments in January we will identify the teacher who will be receiving the new P1 pupils. In January our P5 pupils are invited to apply for a position as a ‘buddy’ for a new P1 pupil. They are interviewed and the successful applicants receive training on how to carry out their role to the best of their ability. Once trained each P5 pupil is paired with a nursery pupil. In April, Mrs Hawthorn (Principal Teacher P1-3) and the buddies begin to visit the nursery children who will be joining us in August. The buddy will have the opportunity to play with their P1 in the nursery to allow them to get to know each other. Mrs Hawthorn will have the chance to talk with nursery staff and work with each child in their nursery environment. In May our current P1 pupils invite the new P1’s and their parents/carers to visit them and will tell them all about what life in P1 is like. Parents will have the opportunity to meet with the Head Teacher, Mrs Hawthorn and the class teacher and will receive all the necessary information needed for the August start.